. 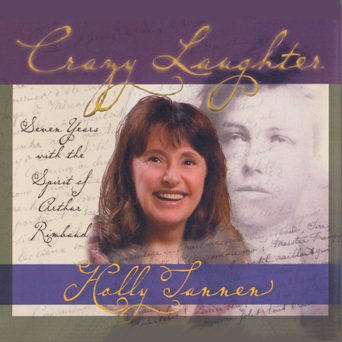 . . Holly sings traditional songs of the United States, England, Scotland, Ireland, and France. 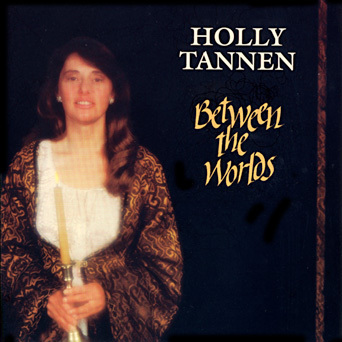 She also channels Entities from the Half-Astral Plane who are responsible for songs such as Lily Of The Net, Bonobo Wannabee, Brownies For Breakfast, Victim of Them, Downstream From Dylan, and The Last Hippie.
. . . Holly studied folklore with Alan Dundes at U.C. Berkeley. She edited the prestigious Journal of Anomalistic Phenomenology, and is now professor emeritus of disinformation technology at the Mendocino Institute for Sustainable Voyance.
. . . Holly lives on the fringes of the primeval Pygmy Forest where she raises prize-winning Mendonesian Pygmy Velociraptors, volunteers for the Velociraptor Rescue and Rehabilitation Center, and directs the choir of the Church of Our Lady of the Unwarranted Assumption. the Ancient Matriarch has returned. 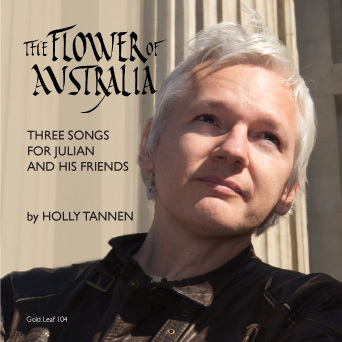 and The Flower Of Australia. can pass between the worlds. The Spirit Of Arthur Rimbaud.